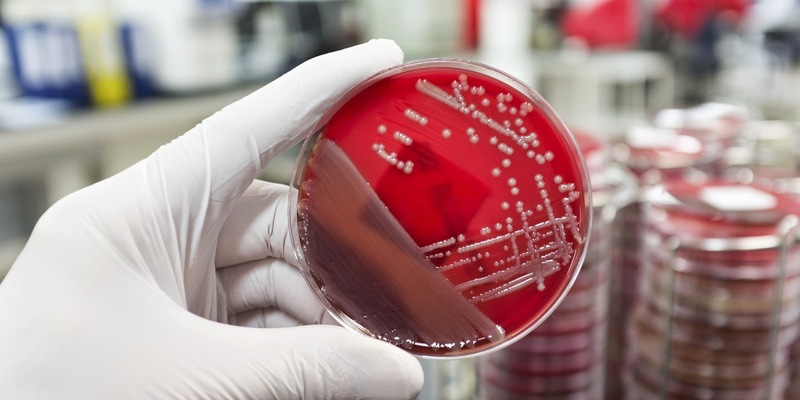 ﻿Antibiotic-resistant infections are on the rise, foiling efforts to reduce death rates in developing countries where uncontrolled use of antibiotics and poor sanitation run amok. The epidemic of "superbugs", bacteria resistant to antibiotics, knows no borders - presenting a clear and present danger around the globe. Now, a groundbreaking discovery may strengthen efforts by the medical community to fight this looming superbug pandemic. By sequencing the DNA of bacteria resistant to viral toxins, researchers identified novel proteins capable of stymieing growth in treacherous antibiotic-resistant bacteria. The research was published in the journal PNAS. Using high-throughput DNA sequencing, the researchers located mutations in bacterial genes that resisted the toxicity of growth inhibitors produced by bacterial viruses. In this way, the team identified a new small protein, growth inhibitor gene product (Gp) 0.6, which specifically targets and inhibits the activity of a protein essential to bacterial cells. The inhibitor was found to cripple the activity of a protein vital to bacterial cells - a protein that maintains the bacterial cell structure. Malfunction of this bacterial protein consequently resulted in the rupture and consequent death of the bacterial cell. The researchers are continuing their study of bacterial viruses in the hope of identifying compounds and processes that facilitate improved treatment of antibiotic-resistant bacteria using yet uncharacterized bacterial viruses' proteins. They believe that further basic knowledge on bacterial viruses biology will eventually lead to unexpected breakthroughs in the fight against antibiotic-resistant bacteria. Based on material originally posted by American Friends of Tel Avid University.